The Jake eliminated this problem through a superior design. 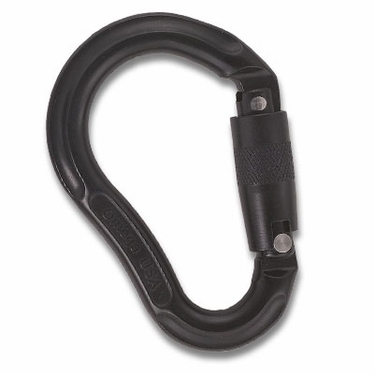 It always centers your belay/rappel device so that in double-rope rappels, neither strand of rope is pinched on the spine, ensuring a smooth and predictable rap’. The Jake is also equipped with a truly unique side-swing gate which provides you with greater gate clearance and ease of use. Available with Screw gate or Quik-Lok.